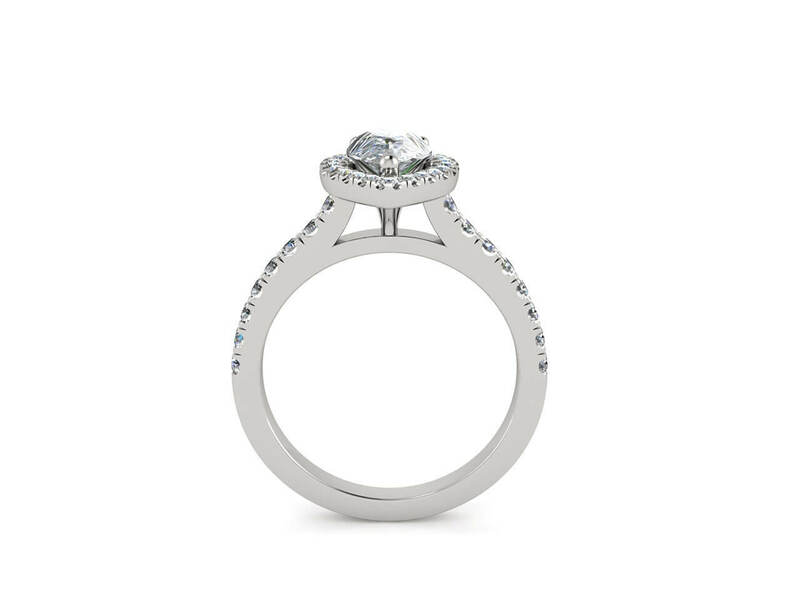 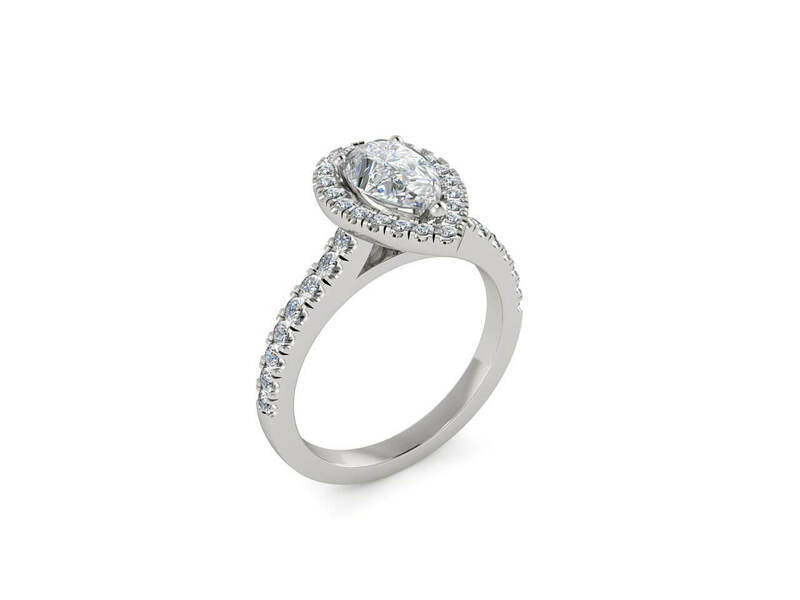 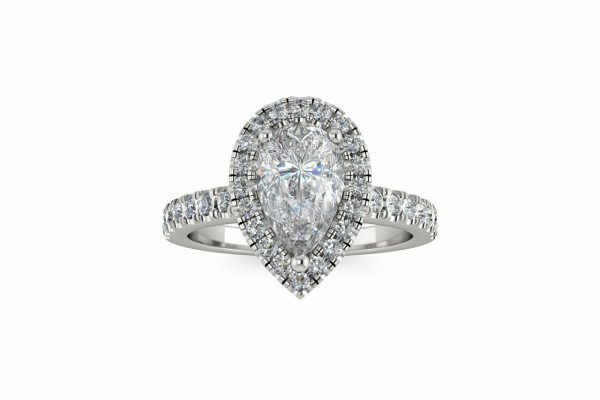 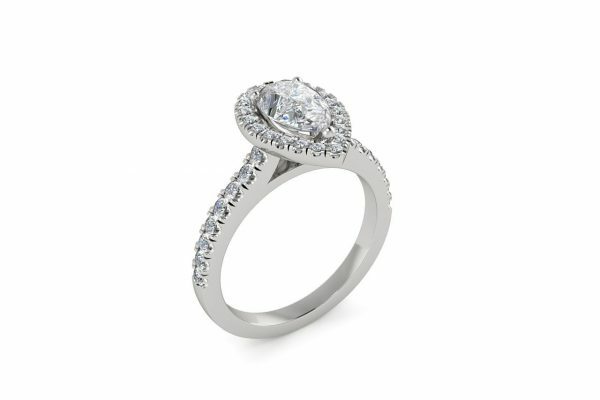 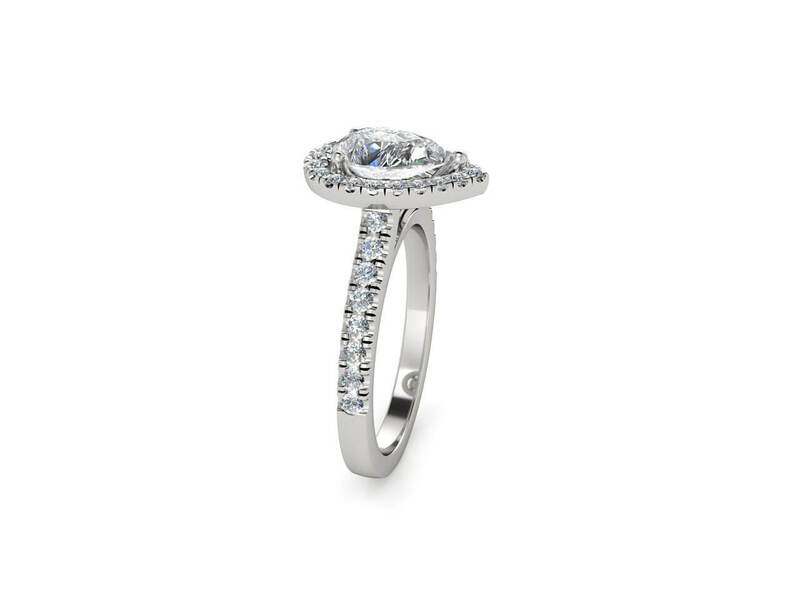 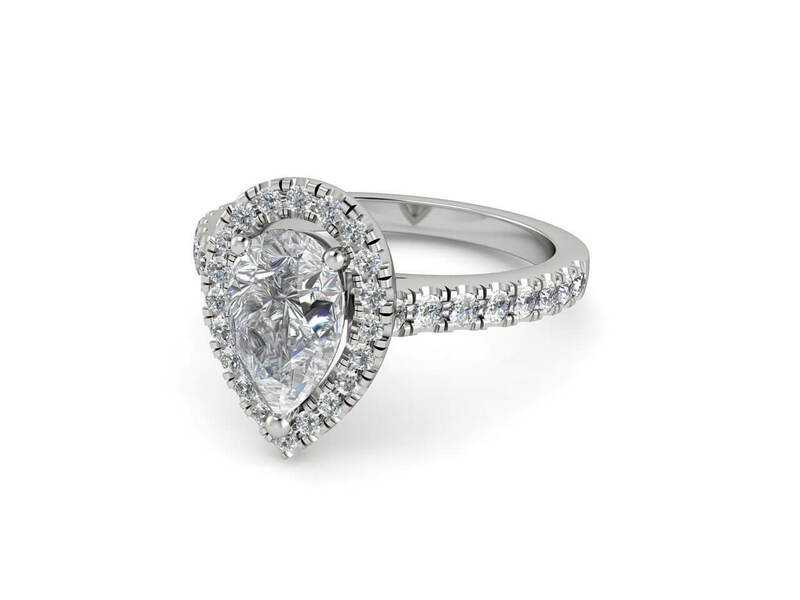 This sophisticated pear shaped diamond engagement or dress ring is surrounded by a single halo of brilliant round diamonds on a matching diamond band. 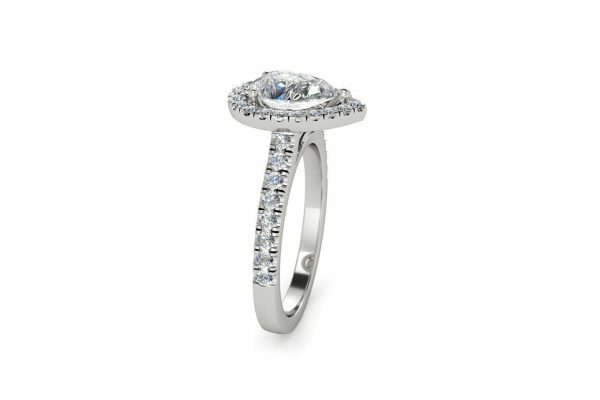 Available in your choice of metal including white gold, yellow gold, rose gold or platinum and can be custom made using other precious stones. Weight side stones: 0.40ct aprox.